The agency is organising a two-day seminar dubbed, âExport Readinessâ for January 23 and 24 at the NIS training room. And deputy executive director of Invest SVG Allan Alexander is encouraging all businesses involved or interested in exporting to attend. âThis seminar is designed to inform you of the necessary tools that are needed if you are thinking of exporting or to help to assess how well you are doing if you are currently exportingâ¦â Alexander said at a press briefing yesterday. He explained that many companies may want to export, but that desire does not always translate into a readiness to do so. âSo, we are hoping, through this seminar, to help assess where you are in your cycle and if you should even think of exporting,â he added. Facilitators for the seminar have been selected from both the private and public sectors. Curtis Dennie of Invest SVG and Rennet Lewis, a private consultant, are among the facilitators. An official from the Ministry of Trade is also expected to address the attendees of the Export Readiness seminar. 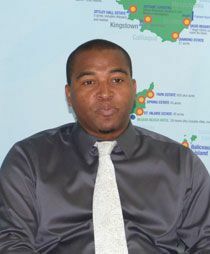 Alexander said the seminar will also seek to address a number of questions related to the readiness for exporting. Meanwhile, export development officer at Invest SVG Shanna Browne said the seminar will be a great foundation for the local exporting community with regards to the topics to be discussed. âWe will be covering topics such as introduction to exporting, financing your company for growth â which I think, is going to be a very interesting one, the importance if ICT to business efficiency. We are definitely moving into a technology age and we want to definitely keep our businesses up to speed with that. âWe will also be looking at export appeal and packaging. A lot of the times we have a far superior product to those that we import, but because of our packaging we are sometimes glossed over for the substitute, I would say. Because I think our products are definitely the real deal,â Browne said. She further said there are only 50 places and encouraged business owners to register as soon as possible. âThis is definitely a great opportunity afforded to us through the Caribbean Export Development Agency and the European Union, and our sponsors Eastern Caribbean Group of Companies (ECGC) and the Bank of St Vincent and the Grenadines that we are now offering to the exporting community free of cost.